The musician in your life will definitely appreciate our personalized wall sign for his home. Any electric guitarist or guitar enthusiast will appreciate this one of a kind wall sign. 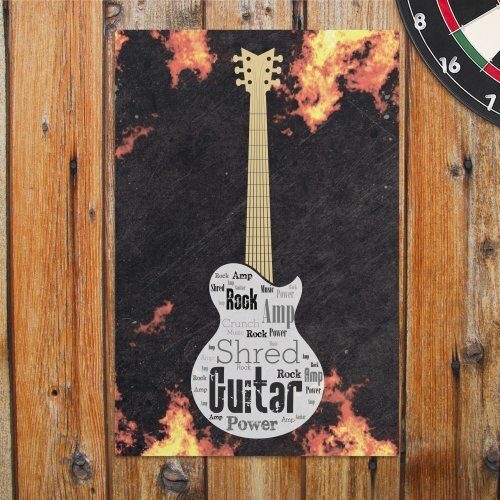 Use our personalized word art tool to put some of his favorite guitars or electric guitarists on the sign and really create a one of a kind piece for him. 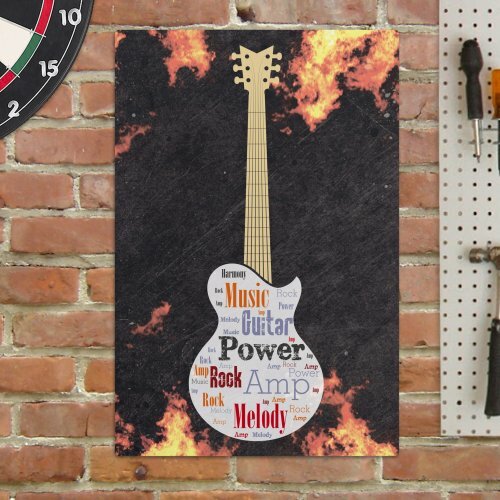 The Electric Guitar Word Cloud Art Wall Sign measures 12"x18" and is perfect for hanging on the wall of your music room or practice space. Guitar Text area: Place some phrases or words describing your favorite music or guitar. Text in this area is limited to 20 character/spaces each. We recommend using 10 or fewer words for best presentation. Symbol Area: Place an accent symbol into your Word-Art Wall Sign. When you see the Word-Art compilation your like, select the Add To Cart button. This will automatically save your design into your cart. If you would like to see another rendition of your Word-Art compilation simply select the View Your Personalization button again. This will automatically create another version for review. Once you are satisfied with the design, select the Add To Cart button.